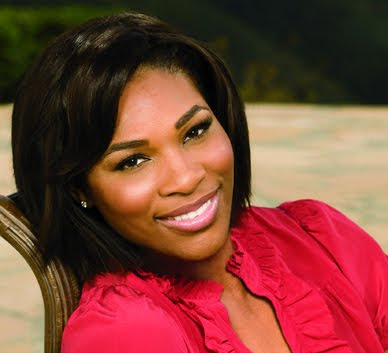 Brother Jesse Blog: Rising Above Emotions: Was Serena Williams Robbed? Wrong? or Both? You tell me! Rising Above Emotions: Was Serena Williams Robbed? Wrong? or Both? You tell me! Well along with football beginning, looks like the talk of the sports world is Serena Williams. Hold up...before I disappoint you. I am not an expert on tennis. Matter of fact I have yet to ever play the game in my life. Yes, true. And the only time I have ever watched tennis is when Serena and Venus are playing. Well, the day before Serena Williams' U.S. Open semifinal match against Kim Clijsters, I was just blowing up my Twitter account letting people know they should read Serena Williams' Exclusive Blog for GlobalGrind.com. It's very inspirational and it moved me to go purchase her new book, "On The Line", the next day. In the blog she said "How to stay positive, how to pull through. Because in the end, there is a light that always gets brighter- you just have to keep reaching for it. ".....and now she was tested the next day. ...so all of the tennis experts and analysts please let Brother Jesse Blog know if she was robbed? Was she wrong in any way? she was wrong and the call was WORST! I don't see this as a racial issue per se but I do think the Williams sisters have been hated on alot. This is a classic example. Regardless of the call, she embarrassed herself...but we all make mistakes. Much continued success. This is nothing compared to John McEnroe and his many groan man temper-tantrums. Officials would allow him to play and he would make bring a whole new show the match by denouncing the call. Serena was robbed on the basis of protesting an obvious bad call. It's unfortunate that now she has been labeled the angry Black woman but hey she is human and life goes on....Keep it popping Serena. LOL, Brother Jesse you are so honest! ha! I too am not a tennis expert but I am a competitor so I can relate to her outburst although it was not a good look. This called made by this referee is not anything new. Referees have been making bad calls for decades so this is nothing new..
That judge was wrong for this one...I don't care what anyone says. Wack called....poor sportsmanship by Serena but I was feeling her on this one. This is to the Anonymous coward above me...com'on are you seriously calling Serena an ape? You must be a white racist or something. She is a Black woman...get it correct and show respect.